Our country’s veterans deserve easy access to the best, most versatile healthcare we can offer. Unfortunately, their current options are often limited. But at 3D Health & Wellness, we ensure that each veteran feels supported, appreciated and most of all, well. 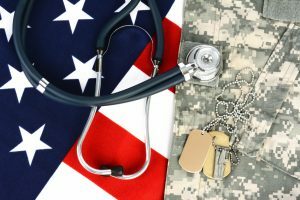 We proudly care for and manage ANY health condition that a veteran may be facing and can provide you with individualized treatment plans that include effective, alternative options to enhance treatment you may be currently undergoing. We proudly offer 10% off for veterans care!! Providing you with basic healthcare guidance in patient advocacy, preventive medicine, natural medicine, nutrition and fitness.